Patrick Priebe, a German cyberweapons hobbyist, has proved that he is a diehard fan of Iron Man. 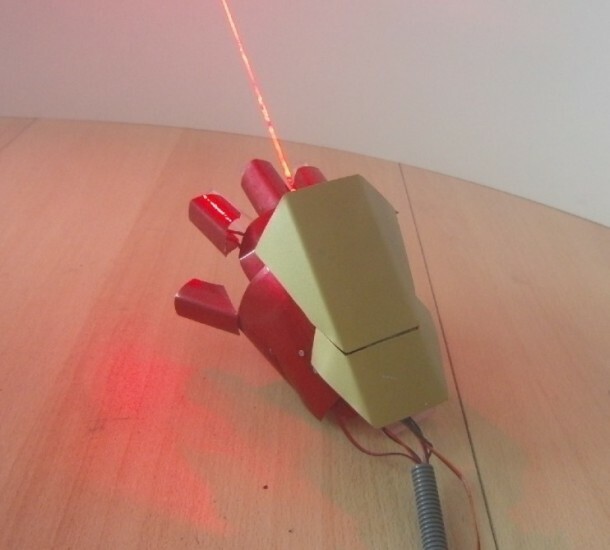 He has already created a laser gauntlet and a rocket launching gauntlet that were based on Iron Man and now he has progressed and built a dual-laser Iron Man glove that features the same sound effects along with a ‘shell’ ejector as well. The gadget works simply by simple flip of the device’s main switch. Flipping it causes the gadget to charge two lasers that it houses. Charging implies cool charging-up sound only though along with a ring of five LEDs that are located around the palm laser and illuminate. User then presses one of the three buttons on a separate controller that is wires to raise a hatch on top of the glove while pressing the second button results in the firing of an 800-mW red burning laser that is located inside the hatch. The user needs to flex the wrist in order to push on a built-in pressure plate that results in the firing of a 3,000 mW palm laser. Once it has been used, the spent shell can be ejected. It is a flat aluminum slug that is originally loaded into the spring-tensioned slot and is ejected when the third button is pressed down. 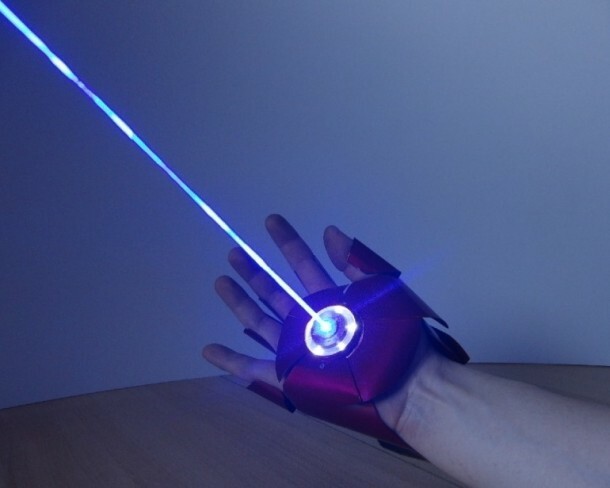 The gadget has been created from brass and aluminum and as per Priebe, it took him about 3 weeks to build this amazing Iron Man inspired laser glove. Check it out in the video below!